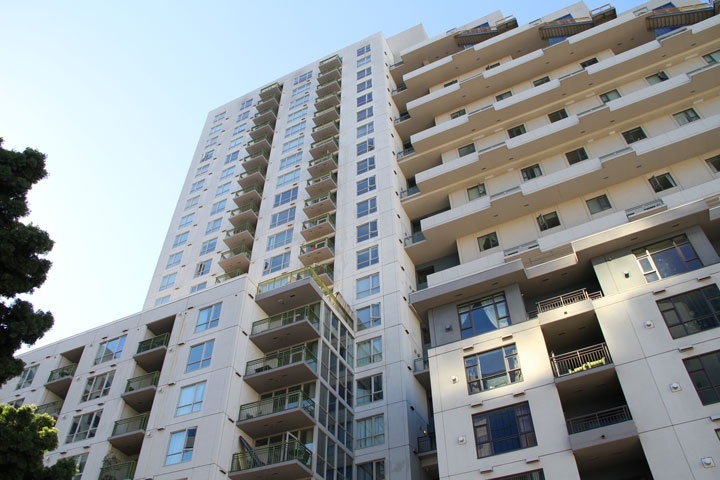 Treo condos are located at 1240 India Street in San Diego. If you are looking for a condo in the downtown Columbia District of San Diego then Treo maybe the place for you. Treo is a full service 24 story highrise with 326 units that are close to shopping, transportation and the Bay. The Treo homeowners association dues run $387.00 a month for a community pool, spa, gym, community room and 24 hour security. Treo is a combination mid-rise and high-rise building with the a newer high-rise building that was finished in 2002 and remodeled in 2009. Below are the current Treo downtown San Diego condos for sale. If you are looking for a downtown San Diego condo for rent please visit our San Diego rentals page. We also provide all sold Treo condo sales at our San Diego Sold Search. We are the Downtown San Diego Real Estate experts. All Treo condos for sale are also listed below. Questions? Let our team of San Diego Realtor Associates help you. Please contact us at 1-888-990-7111 today.